Welcome to July’s edition of TGE’s guide to things happening in the world of indie films, fiction, comics and the arts. The Loch Ness Film Festival, Inverness (24th-26th July 2015) – a multi-location, multi-genre film festival happening in venues around the illustrious home of Nessie. There is also a full line-up of events and talks happening around the festival too. Roots to Shoots Film Festival, Coventry (8th July 2015) – Roots to Shoots returns in July offering a selection of local, national and international short films. Highlights so far include some vintage Oscar nominated shorts, a rediscovered gem from 1986 and ‘Predator: Dark Ages’, a fan film directed by James Bushe. 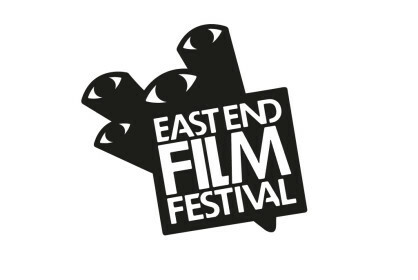 East End Film Festival, London (1st-12th July 2015) – The annual multi-platform festival is back, presenting a rich and diverse programme of international premieres, industry masterclasses, free pop-up screenings and immersive live events. Happening in cinemas across the east of London. Glasgow Comic Con, CCA Glasgow (4th-5th July 2015) – Billed as ‘Scotland’s Comic Book Festival’, GCC hopes to be the biggest event yet with a packed schedule covering all genres and publishers… including Dundee’s DC Thomson! horrific, macabre & grotesque. 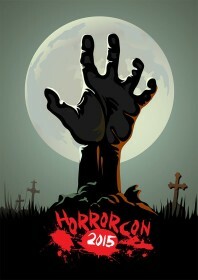 Mark Adams and Matt Warner of Hellbound Media will be there, too! London Film & Comic Con, Olympia (17th-19th July 2015) – Showmasters are once again bringing their star-studded film and comic expo to the captial for three days of the ultimate in geekdom, including appearances from big names in film, TV, comics and books. 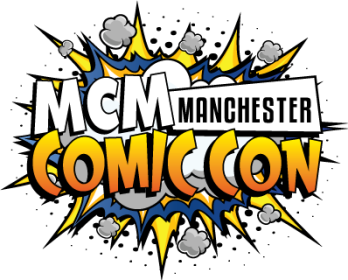 MCM Manchester Comic Con (25th-26th July 2015) – Back once again invading the GMEX and featuring loads of dealers, the Comic Village, talks, eSports guest appearances and of course, plenty of cosplay, this one is sure to be the best yet! Words @ Frome Festival, Somerset (3rd-12th July 2015) – Part of the larger Frome Festival which runs across the town, there are several literary workshops, readings and tours running throughout the event, alongside the hundreds of other things to do. The Theakston Old Peculier Crime Writing Festival, Harrogate (16th-19th July 2015) – The 2015 Theakstons Old Peculier Crime Writing Festival, is once more, a murderously good line-up. Now in its 13th year, the festival has achieved international acclaim for the programming, organisation and atmosphere, ranking as one of the top three literary festivals in the UK by The Guardian. Niddfest 2015, Upper Nidderdale, Yorkshire (24th-26th July) – Celebrating nature in writing, NiddFest is a unique, new, family friendly festival, offering a weekend of talks and outside events for nature lovers of all ages. NiddFest’s patron is the UK’s poet laureate, Carol Ann Duffy. Latitude 2015, Southwold, Suffolk (16th-19th July) – Celebrating it’s 10th year, and known primarily for being a source of great live music, lesser known is the amazing literary and poetry events that take place throughout the 3-day event, which draws in some of the finest names in poetry and literature. Even more surprisingly, tickets are still available so you still have an opportunity if you haven’t already booked! Keep an eye out on the site next Monday, where we’ll tell you what’s coming up in the world of The Great Escape over the coming month!